Great titles heading into summer! I’d post more often if it weren’t for the duds. I try to give each read 50 pages or so before I deem it “un-blog-worthy,” so it took me while to find these beauties. A humorous novel, cynical satire and notes from the White House made for a good mix this month. Enjoy! God, Polly is a great old broad! This former southern belle is widowed at 58, only to discover that she and her late husband conceived a very late-in-life child. The result is ten-year-old Willow, obsessed that her mother will die any day now, understandable, since Polly is old enough to be her grandmother, swills margaritas and smokes like a chimney. Fortunately Willow didn’t fall far from the tree, so while Polly cantankerously fights an endless battle with her neighbors and the squirrels trying to invade her garden, Willow tries to keep her healthy by hiding her cigarettes and trying to find out all she can about her mothers past by snooping through her closet for old love letters. Polly refuses to talk about her youth in Louisiana before she married and Willow is determined to unearth her mothers secrets. A kooky cast of characters include the above mentioned neighbors and Willow’s (much) older brother, who moves in for a while, drunkenly licking his wounds after a divorce….best supporting character goes to his childhood friend, Phoenix. When illness lurks, Willow convinces Polly to go back to Louisiana to be healed by a back water preacher and learns a lot about growing up, her mother and herself. Heartfelt and funny, I loved it!! This satire about entitled millennials in NYC made me very happy NOT to be in my 20s in the big city trying to keep up the crazy social media scene. TakeOff is startup (obviously) run by Mack McAllister, a sleazy young man hoping that with another round of funding, his app will be a “unicorn”, one of the rare apps, like Twitter or Facebook, that will be next big thing and make him very rich. But Mack has some (Kharmic?) obstacles to overcome, he has to sell himself to a rich investor but he’s got employees jumping ship and his ego takes a hit when he realizes his office fling is tired of him, leading him to make some very bad choices. 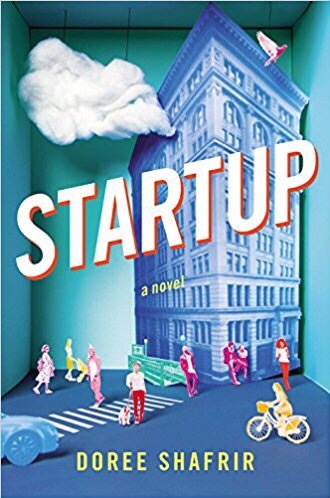 A few floors down at TechScene, Katya is a scrappy reporter, trying to stay ahead of the never ending online competition by breaking a big story, and when the employees at these two companies cross paths, things get downright juicy. Sabrina, a 36 year-old woman (considered a dinosaur by her 26 year-old boss) sums up this satire, and the millenialm existence in general as she ponders the dangers of “living life in public, on social media, before you really you knew who you were…” This is a good beach read; bit of a guilty pleasure but fast paced and suspenseful. 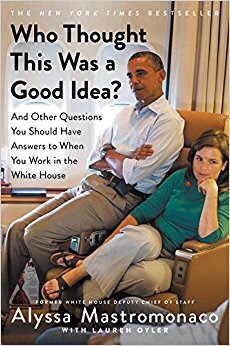 Yes, I am a liberal, but I don’t think party lines matter much when it comes to this thoughtful, funny, first-hand account of working in the White House as deputy chief of staff under President Obama (the title comes from a comment the boss would make when someone screwed up). Mastromonaco was a hard working, non-Ivy leaguer in a seriously male-dominated environment, whose brains and personality took her steps from the Oval Office. From proudly championing for the installation of a tampon machine in the ladies room of the west wing, to organizing relief action during hurricane Sandy, her tales offer a surprisingly humorous and down-to-earth perspective…it feels like your best friend sharing amusing work stories over Thai and a glass of wine. Equally passionate about serving POTUS as she is about her cat, Shrummie, Mastromonaco is a mentor to any woman looking to have a fulfilling personal life (during that time she also managed to meet and marry a great guy) while working in the relentless world of politics. I read that Mindy Kaling optioned the movie rights to Alyssa Mastromonaco’s book! It’s definitely on my summer book list. She’d be a great addition to book group!! 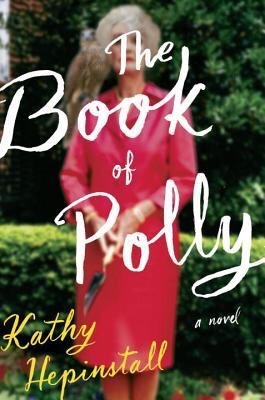 I just finished reading The Book of Polly and absolutely loved it! I was afraid that the ending would get sappy, but the author pleasantly surprised me. Did you do book or audio, I know Sara was really enjoying the audio version. Glad you liked it, too! !